Hardcover, 12.75 x 9.5 in. / 84 pgs / 75 color / 1 bw. 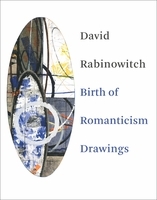 Over the last four decades, David Rabinowitch has made significant contributions to the field of sculpture. Rabinowitch ceased painting in 1962, having transitioned to the medium of sculpture in 1960 after exposure to the work of fellow artist David Smith. 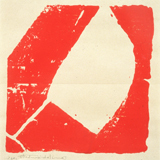 The 100 woodblock monotypes he created in 1962, shown here for the first time, represent the work of the artist at the very point that his first sculptural works were being formulated. 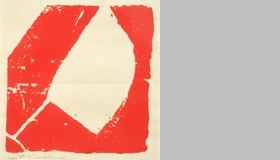 They provide a fascinating insight into the process that produced Rabinowitch's early Mass Works in steel--but though these monotypes clearly precede and perhaps foreshadow the artist's early sculptures, they are by no means studies for them. The independence that the monotypes have from the sculptures is clearly apparent, but they are directly expressive of sculptural issues, many of which Rabinowitch was the first to introduce. Of major concern was the establishment of an abstract ideography of signs that conveyed nothing other than themselves; in these monographs, he created lively, colorful, almost calligraphic forms that dance along in endless, weightless, point and counter-point relationships. FORMAT: Hbk, 12.75 x 9.5 in. / 84 pgs / 75 color / 1 b&w.